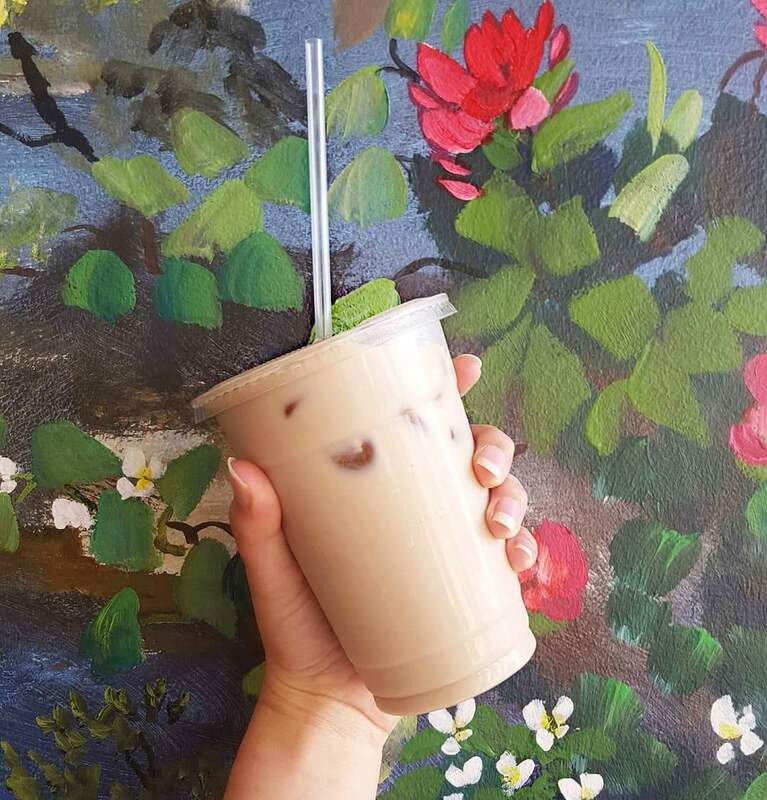 Come in try our NEW Almond Coffee Chill! 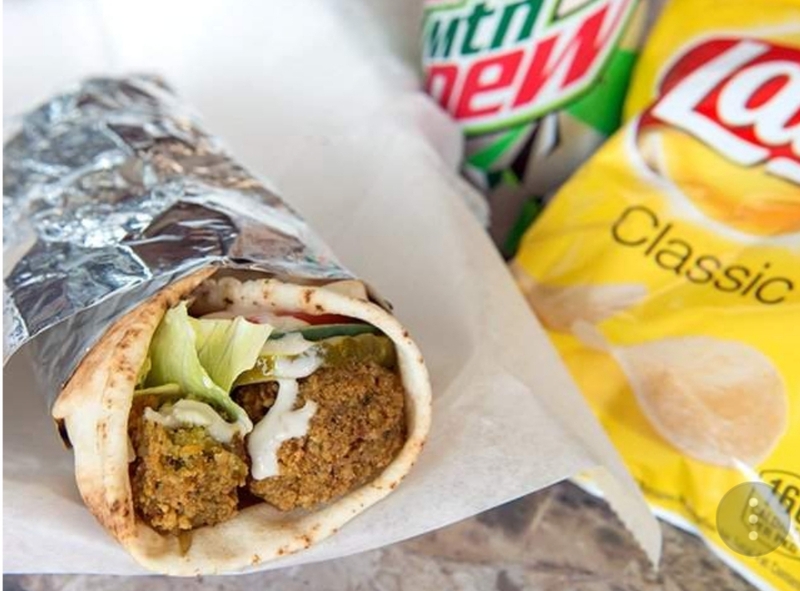 When visiting the Citadel Café & Restaurant in Hilliard Ohio, you must purchase the Falafel wrap. 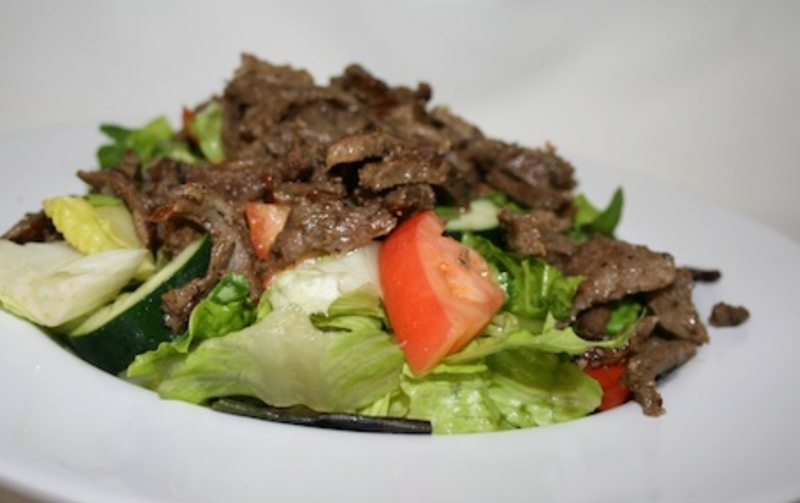 This is because our menu provides a wide range of heavenly favors. Falafel is a deep-fried round, or a flat or doughnut-shaped patty, made from ground chickpeas and/or fava beans skilled with onion, parsley, cumin and also coriander. The falafel balls are packed in a pita or wrapped in a flatbread and covered with tomatoes, lettuce, cucumber, marinated vegetables, hot sauce as well as tahini sauce. As a rich source of vitamins, minerals as well as fiber, chickpeas provide a selection of health and wellness benefits. These include: boosting digestion, aiding in weight administration and reducing the danger of numerous illnesses. Furthermore, chickpeas are high in healthy protein and make an outstanding replacement for meat in vegetarian as well as vegan diets. Fava beans known as ‘broad’ beans are thick with nutrition. Fava beans have no hydrogenated fat or cholesterol and contain a high concentration of thiamin, vitamin K, vitamin B6, potassium, copper, selenium, zinc as well as magnesium. They are a source of lean healthy proteins. The onions used in the falafel wraps at the Citadel Café are full of nutrients. Onions are low in calories yet high in vitamins and minerals. The benefits of eating onions consist of: heart wellness, loaded with antioxidants, contain cancer fighting substances, assistance in controlling blood sugar, boost bone density have antibacterial qualities. What you should know about Parsley is that it can improve ones immune system, fight diabetes, and cleanse the body, while serving as an anti-cancer power home. Needless to say, don’t forget that Curcumin has powerful anti-inflammatory results as well as is a really solid antioxidant. If you are looking at obtaining additional dietary fiber, than Coriander or cilantro is the answer. Not only that but Coriander contains, manganese, iron and also magnesium as well. In addition, the leaves of the coriander are rich in Vitamin C, Vitamin K and protein. Also remember, that the herbs, spices, and onion and other ingredients are commonly added to the dough. 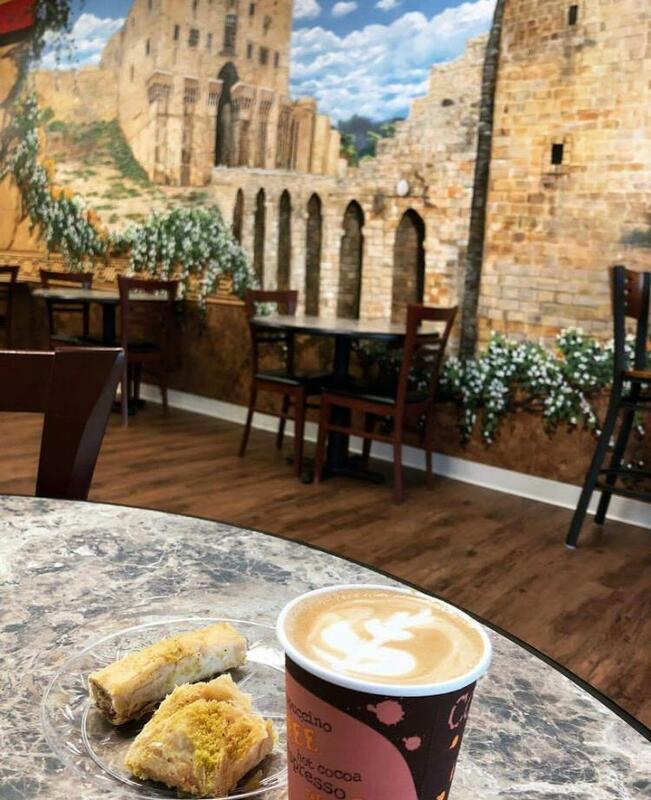 Just check out this video below by clicking on it to find out more information about the Citadel Café & Restaurant located in Hilliard Ohio! 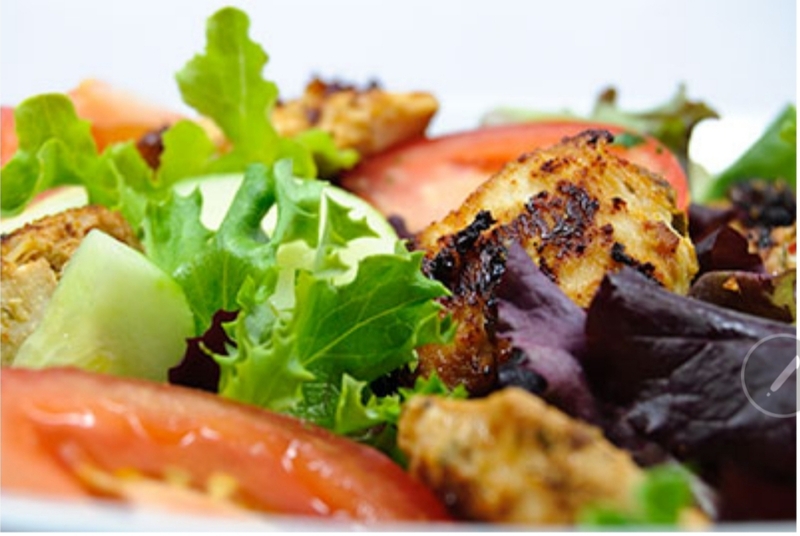 The Falafel served at the Citadel Café and Restaurant is additionally a good resource of soluble fiber. This fiber is the kind that aids in lowering one’s LDL (negative) cholesterol. A falafel wrap with a spicy hummus has spices that make the body feel vibrant, alive and full of joy. The wraps are a perfect meal that is fulfilling, tasty and healthy for you because it is a good source of vegan protein. 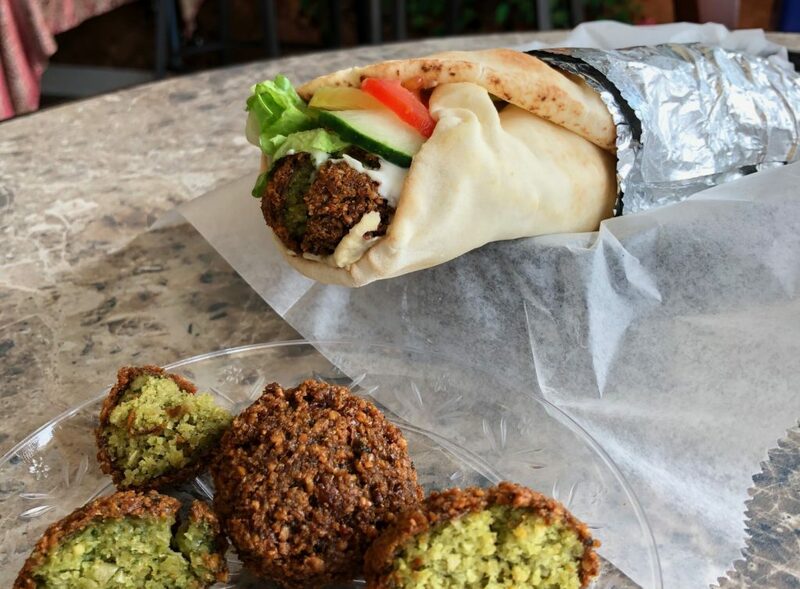 In summary, the falafel wrap made at the Citadel Café and Restaurant, is tasty and is made with many spices that are beneficial to your health. 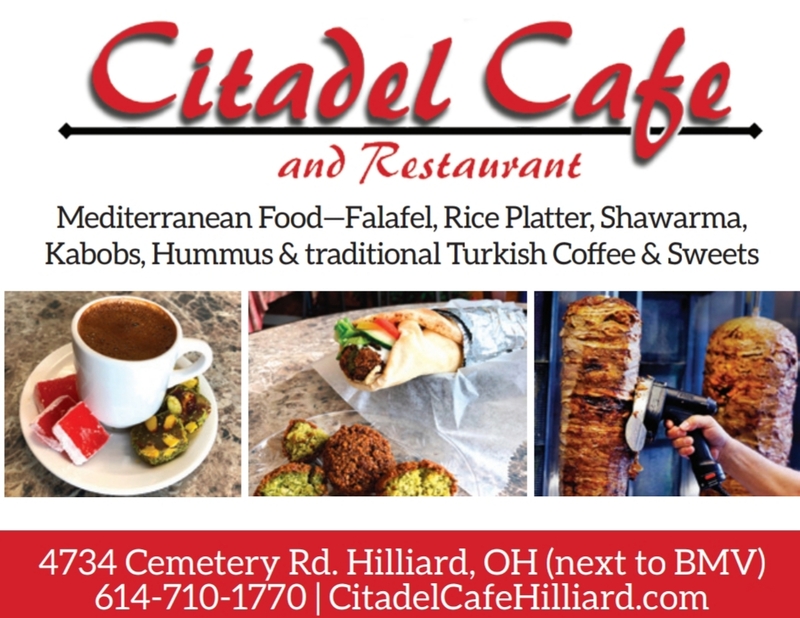 The next time you are in the Hilliard Ohio area, don’t forget to stop by and order one of our fantastic Citadel Falafel wraps along with some of our tasty desserts and fine drinks. You will be amazed at the heavenly flavors! Sunny Saturday mornings and baklava! 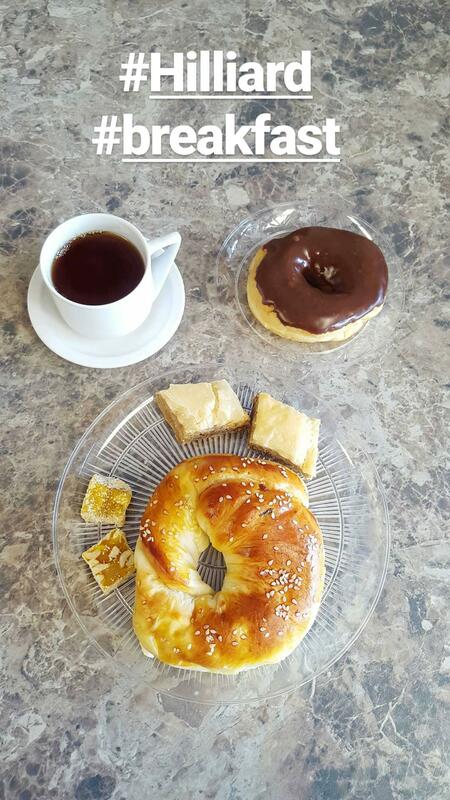 Try our Baklava Latte and get a free bagel! 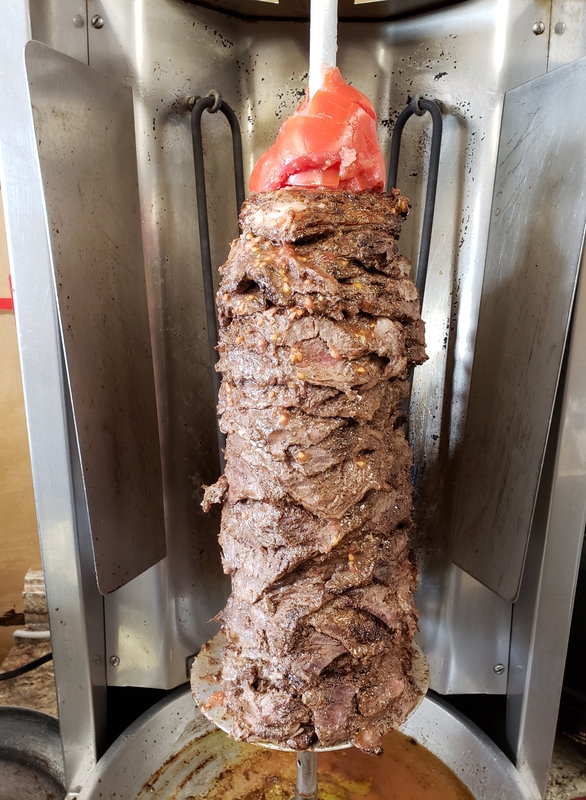 Try our famous Beef Shawarma, comes with a wrap or a rice platter. 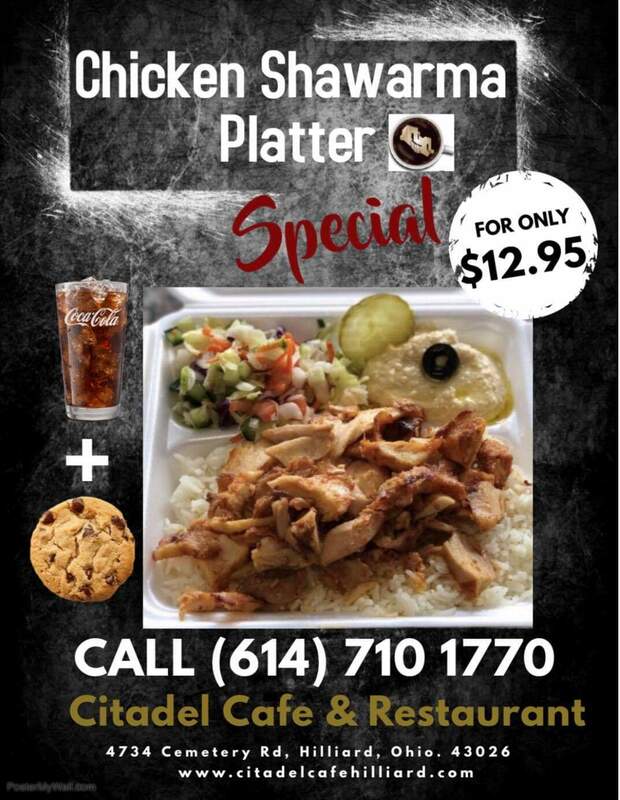 Try our Special Falafel Combo and receive a FREE cookie with your order!